Six years ago, Mark and Emily Krull’s young family was enjoying an established life in northern Michigan. At that time, the couple had one daughter and was expecting a second. Life was good, though Mark felt something was off. One evening, he approached Emily with an idea that would change everything. At age 30, and after much debate, Mark told her he wanted to end his career in sales to pursue dentistry. His journey would require two-and-a-half years of prerequisite courses and DAT preparation, followed by four years of dental education, hopefully at his first-choice of schools, University of Detroit Mercy. His journey would require uprooting life as the Krulls knew it, a leap of faith for both. 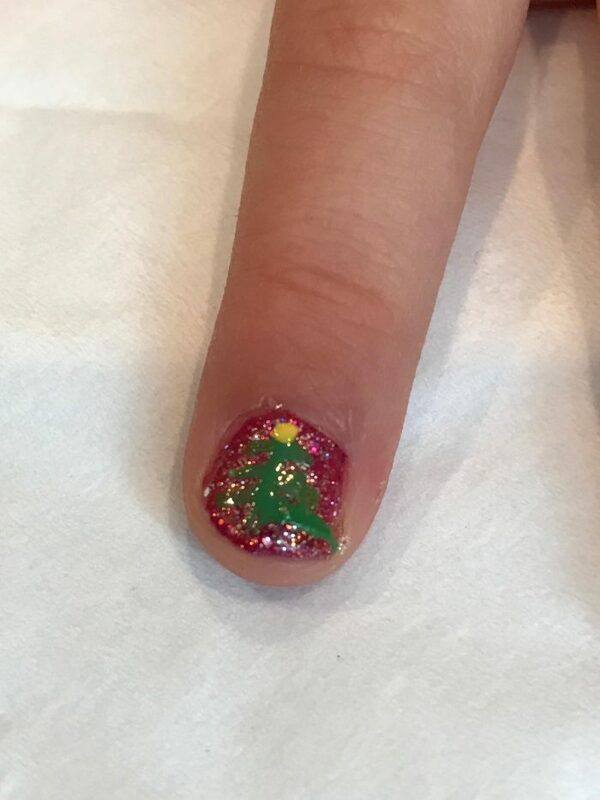 To Emily, this meant living long-distance from her husband. Mark would make the four-hour commute between Detroit and Traverse City every weekend for four years, that is, except during mid-terms and finals. It also meant Emily would need to switch jobs to handle all day-to-day activities of two energetic young daughters, their extra-curriculars, and maintain their home. It was not an easy decision to make or carry through, but with sacrifice, determination and love, the couple made it work. 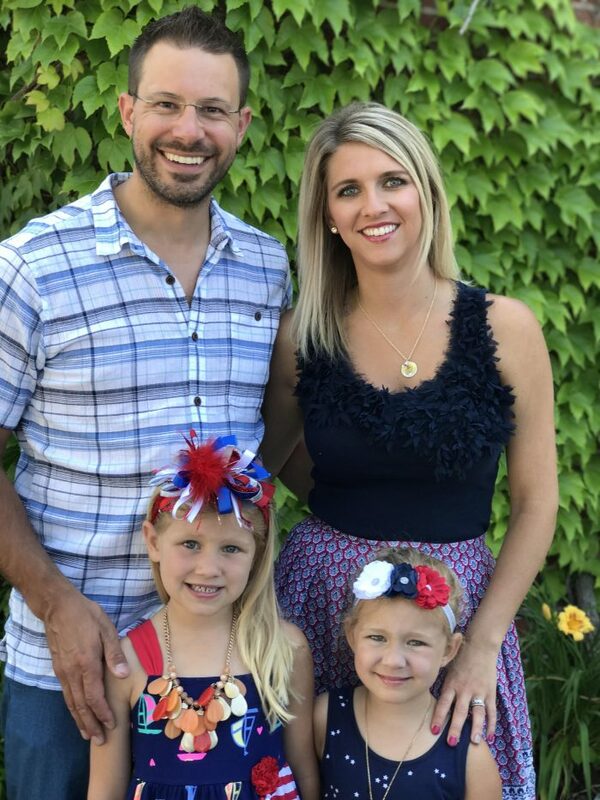 While Mark and Emily figured out logistics of their life, behind the scenes there were many moving parts aligning themselves to help the Krulls meet their goals. 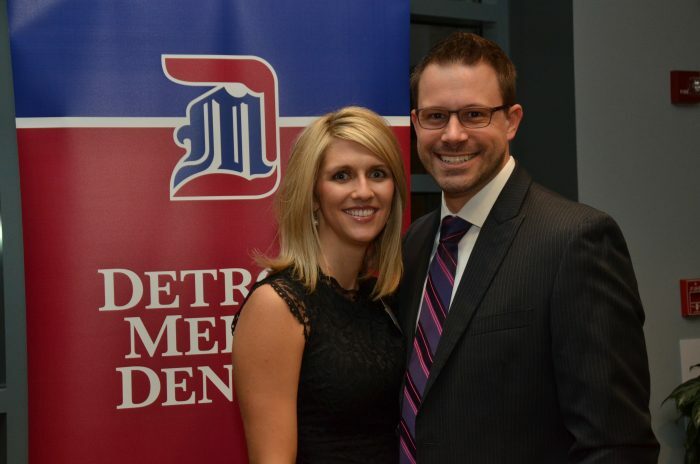 As Mark settled in at Detroit Mercy, finances became tight. On top of a change in income and two sets of living expenses, there was the weight of dental school tuition. Fortunately, Mark received financial support through the Dean’s Circle Scholarship which helped alleviate some the financial burden. 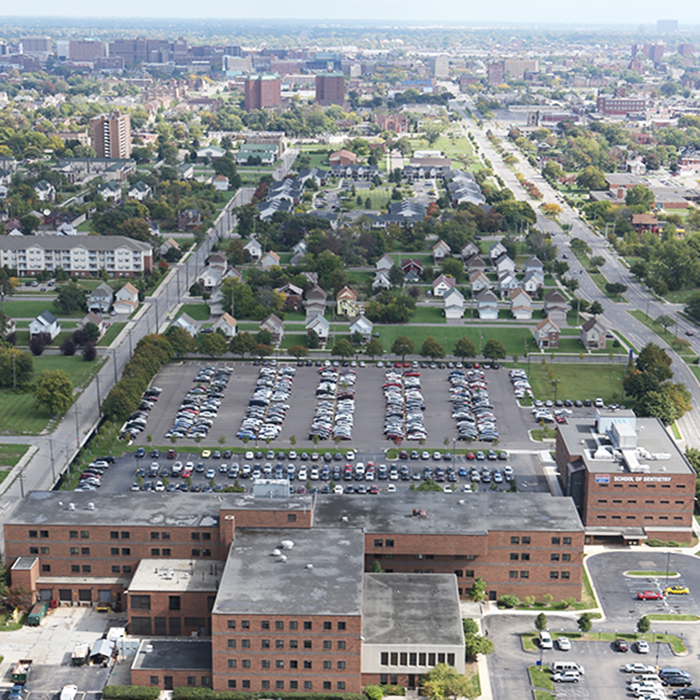 The Dean’s Circle is made up of donors of $1,000 or more, annually to Detroit Mercy Dental. 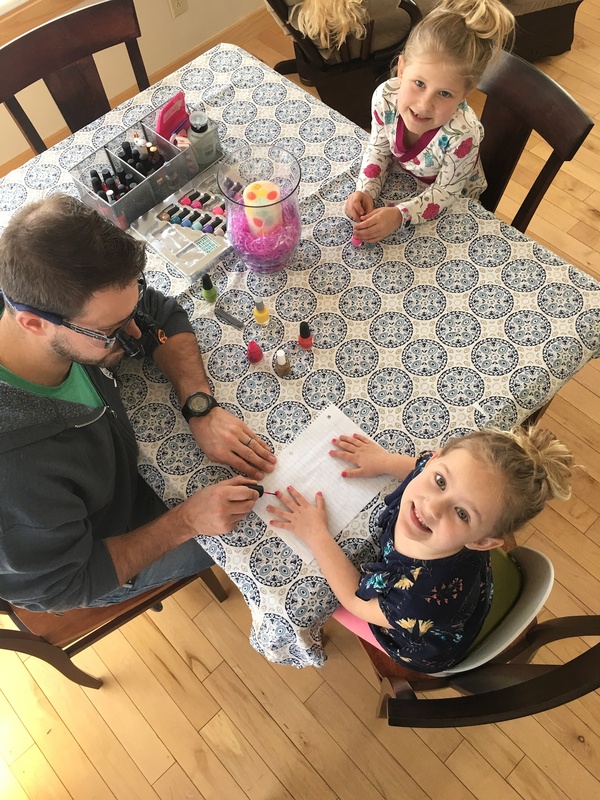 Throughout his education, Mark became known for his willingness to try anything and, if unsuccessful, work at it until he mastered it, even if it meant learning how adjust to loupes by painting fancy designs on his daughters’ nails. This type of persistence is enabled through the educational support system. As part of their teaching, our faculty provide one-on-one support and guidance to help students navigate the learning intricacies while in school as well as make career decisions. Mark felt comfort knowing there was always someone available, and eager, to help. 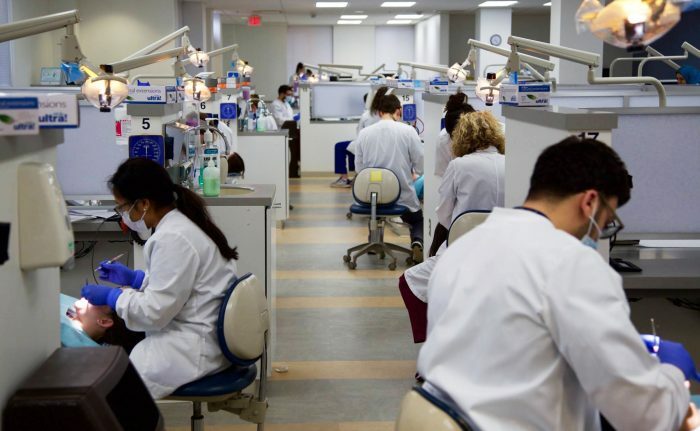 Deep, practical experience is one of the hallmarks of education at the School of Dentistry. To that end, service learning is embedded into the curriculum providing some important teaching moments. Mark attended two service learning rotations during his final year in dental school, in East Jordan in the northern Lower Peninsula and in Calumet in the Upper Peninsula. There, he gained a deeper understanding of issues in access to care and underserved populations, while improving his skills in interpersonal communication and patient management. These rotations and the lessons learned in them are made possible by partnerships with the community. The staff and adjunct faculty on site mentor and guide students through these pivotal learning opportunities that helped Mark become a more skilled practitioner. On May 11, the Krulls will celebrate Mark’s graduation. In retrospect, it all seems like a blur, but they say they will not forget the many individual efforts that helped Mark and his family to navigate, overcome and succeed. Looking ahead, Mark is excited to move back to Traverse City and spend plenty of quality time with his family. He plans to work in private practice and has begun training for placing dental implants. Once settled into a career, he would like to provide services to similar populations he treated during his service learning experiences. It is through the generosity of many individuals and organizations willing to contribute finances, dedicate their time and share their expertise that Mark and all our students succeed in their dental education and embark upon their careers with confidence and ambition; it is through the hard work, dedication and a strong vision of our students that they achieve their goals. We look forward to learning about the many milestones and accomplishments from the Class of 2018! It is very nice that your blog is providing information regarding the program. I want to aware you towards the “California Scholarship Opportunities”. Our scholarship list is open to high school seniors, undergraduate, graduate, and high school graduates.